Viña del Mar, is recognized as the tourist capital of Chile and as the 'Garden City' for being surrounded by large green areas. Along with providing accommodation in the center of Vina del Mar, with all the necessary amenities to make your stay something pleasant, we are able to offer a series of tours and activities that will make your stay more complete by orienting you with respect to local attractions and the country. 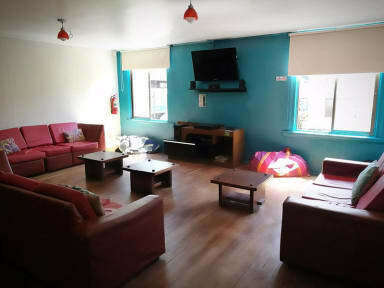 The hostel has 17 rooms, 3 of which are rooms with private bathroom. It offers shared rooms and doubles, triples and quadruples private rooms. 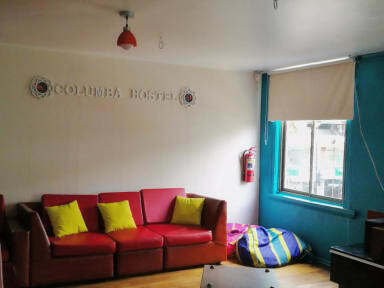 Columba Hostel offers common areas like the lounge, where you can enjoy the library as well as computers with Internet and Wi-Fi. The dining room accommodates 30 people, and all the guests have the possibility to use the kitchen and a food processing room, full equipped. Keep in mind that this is a very big hostel.